Deciding to buy a piano for your family can be a big step, but deciding on which piano to buy is even bigger. Setting a budget, finding a place in your home and seeking out the right piano are all decisions that require research and planning. Having a piano in your home means high quality practicing for your kids (and maybe you too) and can often be the centre piece for family gatherings and holidays. It is not only a musical instrument, but also a valued piece of furniture that can last a lifetime. When starting your search for a piano, there are a few tips to keep in mind. Step 1 – Decide on what type of piano is best for your family. A digital piano can work well for many families with beginning students, especially in townhomes, condos, or apartments where noise can be an issue. Headphones can be used with them for complete silence, and they can also be hooked up to a computer if you’d like to record your music. If you decide that a classical or acoustic piano is more suited to your style or needs, your next question is whether to buy new or used. Think far ahead in your life as this piano can last you for as long as you live and purchase the highest quality instrument that you can afford. Will the piano you pick out fit into your home as a piece of furniture? Unless you decide to buy a digital keyboard, you will need a large enough area dedicated to your piano. Step 2 – Find a reputable retailer. Before you buy your piano, it needs to be serviced and tuned. Find a retailer and talk with them in depth. Your piano will likely be one of the most expensive purchases you make for your family, and over its life will need maintenance and care, which can often be done by the retailer you purchase it from. At the start you will want to make sure that not only does the retailer give you a fair price, but that they can also help you maintain your piano for years to come. Also make sure to ask about what kind of warranty is available for your piano, whether new or used. And ask if the retailer has a buy-back program, which many do. Buying from an individual is an option, as you might find a better base price. But be extremely cautious. Not only will you not get a warranty on your purchase, but you’ll also have less options to choose from, most likely no help in moving or setting it up, and down the road if you decide to buy something else, you won’t have the option of a buy-back program. If you decide on an acoustic piano, you must then take a look at your budget and decide on a hand-made or mass-produced piano. Most mass-produced (and more affordable) pianos are made in China or Indonesia. They are typically of good quality, and are a good way to enter into piano ownership. Prices will start around $3,500 and go up from there. The cost of a hand-made piano will vary greatly, depending on the maker and many other variables. A hand-made piano is of course a piece of craftsmanship. All the finest materials are used, and in many cases only a few hundred are produced my each maker per year. These pieces will most definitely last beyond a lifetime when cared for properly, but for many families they are not necessary. A well-made mass-produced upright or baby grand piano can serve its purpose for many years, and even be handed down to the next generation. Unless you have knowledge about pianos and are experienced in how they are made, buying a used piano can be daunting. Some small malfunctions can be easily fixed, like a key or two not playing. 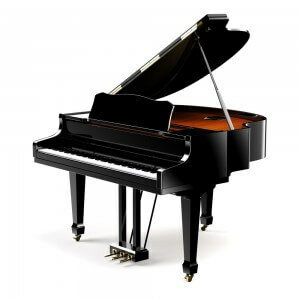 Other problems, like many keys being out of tune or a cracked sound board, may require a great deal of time to fix, and can even cost more to repair than the piano is worth. If you find a used piano and feel it is worth buying, seek out a teacher or repair person who can take a look at the piano for you before purchasing it. This could save you a great deal of time and money in the long run. After doing all your research, and choosing the piano that meets the needs of your family, home and budget, you will have a musical instrument that fits into your life and home. Your children will benefit by developing proper technique from practicing on a well-tuned piano. Many families consider a piano a valued piece of furniture as well. It can be handed down to your children and kept in the family for many years, not just as an instrument, but also as a family heirloom.